When the Mk6 GTI first hit the streets in the USA a heated debate began. The Mk6 shares many parts with the Mk5, including much of the later TSI drivetrain. 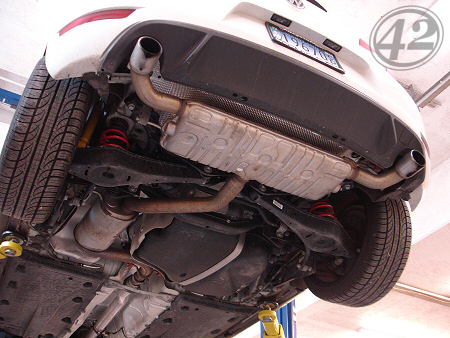 The debate sparked when Mk6 owners began installing aftermarket downpipes designed to fit the Mk5 on their new cars. Some said the Mk5 downpipe was identical, others claimed a difference in the factory connection caused the Mk6 tips to align poorly. With nothing to go on but random pictures, we brought our Mk6 test vehicle in for a thorough test. Once we had the Mk6 in the air, we compared a detailed list of dimensions recorded from our 2007 GTI. Our measurements established the downpipes were identical, as we were beginning to suspect. 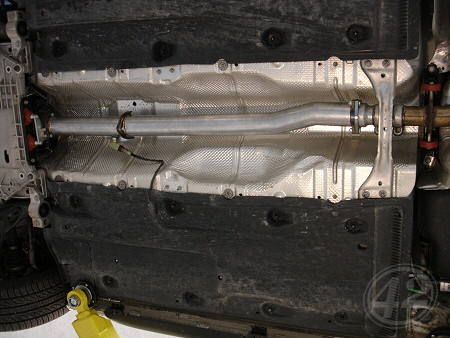 The Mk6 factory downpipe was then removed and placed on our production fixtures. Our fixtures proved what we suspected - the downpipes were identical. Next, we installed our Race Series Mk5 3" Downpipe and came to a final conclusion. 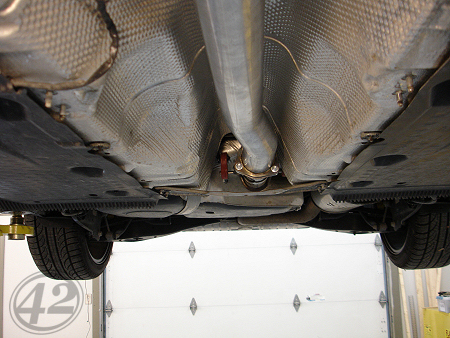 The pictures below document the fitment of our Mk5 FSI/TSI 3" Downpipe on our 2010 GTI. With fitment proven, we were then forced to decide how to label a downpipe that crosses over two generations. Normally, we like to differentiate between generations in order to compare sales trends. In this case, labeling a single product with two different descriptions only reinforces the rumor that Mk5 and Mk6 downpipes differ. 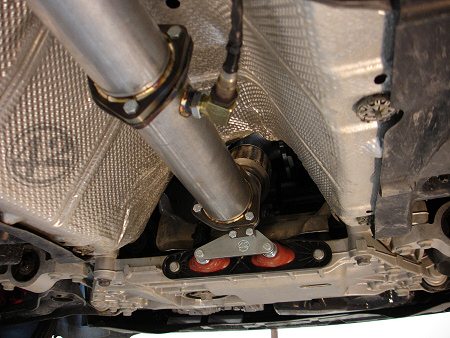 We made the decision to re-label our existing downpipe Mk5/Mk6 and publish this tech article. If there's any confusion after reading this article, feel free to contact us. We're confident in our findings, and excited to offer a 3" downpipe for the Mk6 without "issues." Our precision tooling and thorough documentation allowed us to compare the Mk5 and Mk6 downpipes with more than just our eyes. We don't know the cause of the initial rumor, but we suspect that a handful of poorly fitting aftermarket downpipes were installed on the Mk6. 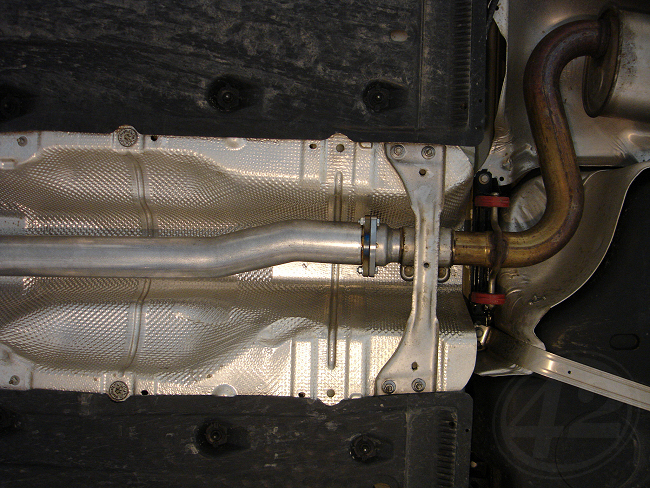 Although these downpipes were built to fit the Mk5, sloppy fabrication resulted in a poor fit on the Mk6. Knowing the Mk5 and Mk6 downpipe fitments are identical, it's safe to say these downpipes would have also fit poorly on a Mk5. The nature of the dual tip Mk6 cat-back exhaust makes poor fitment easier to notice. There's absolutely no replacement for quality craftsmanship. Accurate fitment starts with precision fabrication. When shopping for a downpipe upgrade, it's important to know what you're buying. No matter what brand you choose or how much you pay, you'll ultimately receive a box full of pipes and hardware. How these pipes and hardware connect define successful fitment. Starting with initial design, our fabrication team has created a downpipe that truly fits and a complex production system that assures every downpipe that leaves our facility fits like it should. We're serious about the success of your install.